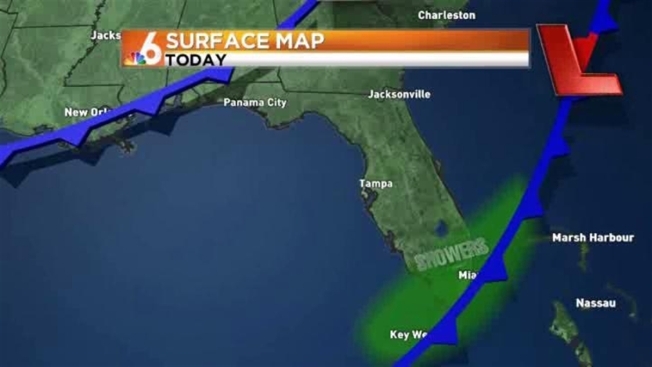 South Florida will see mostly cloudy skies Wednesday with a threat of showers throughout the day before a cold front moves into the area. Highs will be cooler than Tuesday, in the low to mid 70s but not as cool as they are forecasted to be for Thursday. Lows Wednesday night will dip down into the mid 50s but strong winds will allow for them to feel even colder. Wind chills will feel like the mid to lower 40s in Dade and Broward. Highs Thursday will struggle to reach the mid 60s. The coldest night will be Thursday night into Friday, when overnight lows will dip down to the 40s. Mostly sunny skies are expected through the weekend with highs in the 60s and lower 70s.